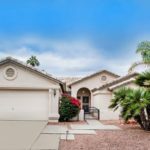 Welcome home to 9513 E. Jadecrest Dr in Sun Lakes! You can’t go wrong with this home! Falling in love with this highly upgraded 3 bedroom 2 bathroom home is something you won’t be able to help. Not only is there new tile flooring throughout but you’ll find completely remodeled bathrooms. Both bathrooms have been upgraded with high-end lighting, new fixtures, and faucets with the master suite featuring a beautiful walk-in shower. Furthermore, you’ll be able to entertain in the great room or enjoy casual living in the kitchen/dining and family rooms. What can you find outside of 9513 E. Jadecrest Dr? Because of a new main AC and a separate AC in the Arizona room, you won’t have to worry about the hot summer days. Also, leased solar panels are included as well as the drip system being replaced in 2017. Come see the extended garage allows for your golf cart to be stored and outback mature citrus trees are ready for your picking. This is a home that you will want to come to look at conveniently located by the Clubhouse and all of the amenities that come with living in an active adult community. 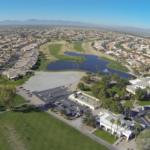 As a result of living in Sun Lakes, there is never a dull moment. From golfing to restaurants to pickleball to planned activities, there is always something to do! Contact us today about this home or any other home located in the valley, 480-440-0849!